Super warm and super flexible, the Flexitog Arctic Grip Industrial Freezer Gloves FG640 are designed with highly durably leather and nylon making them the ideal choice for tough, industrial applications. 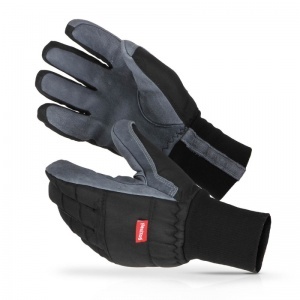 They use hollowfibre insulation to ensure exceptional performance in freezing conditions, while their ergonomic design means that they offer impressive comfort over extended use. 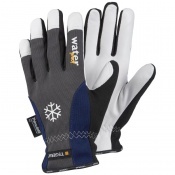 The Flexitog Arctic Grip Freezer Gloves offer superb performance in industrial applications that demand protection from the cold, because they use special IFX technology to keep hands and fingers insulated and warm. 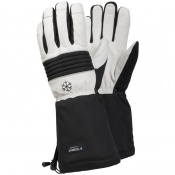 Their taslan back provides impressive dexterity which reduces hand fatigue, making the gloves perfect for interactive work in industrial freezers. 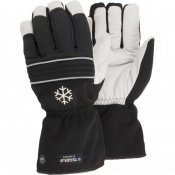 The Flexitog Arctic Grip Gloves are available in four sizes that should be suitable for most users. To find your perfect pair, please measure the circumference of your palm and match the results to the table below.